Now compliant with new RTI (Real Time Information) legislation. 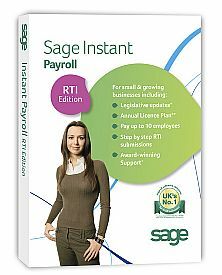 Sage Instant Payroll software is an annual licence plan that includes technical support and legislation updates. This software is available in three options, please see the comparison table below.